Investigators say a Mississippi tea party official and two other men arrested Thursday conspired with a conservative blogger to use photographs of U.S. Sen. Thad Cochran's ill wife to push allegations that the longtime Republican senator was involved in an inappropriate relationship with another woman. 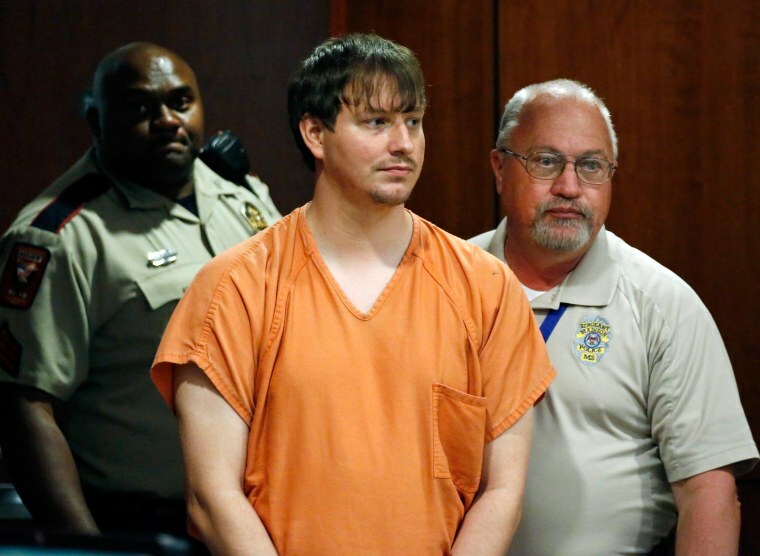 Conservative blogger Clayton Thomas Kelly, 28 of Pearl, was arrested last week on allegations he took the photos of Rose Cochran on Easter Sunday without her permission at the nursing home where she's lived for 13 years for dementia. Thursday's arrests included attorney Mark Mayfield of Ridgeland, a Central Mississippi Tea Party board member who has helped raise campaign cash for Cochran's Republican primary opponent, Chris McDaniel. Elementary school teacher Richard Sager of Laurel and John Mary of Hattiesburg also were charged. McDaniel, who is backed by the tea party, has said he wasn't involved in any attempt to take pictures of Rose Cochran. Cochran campaign spokesman Jordan Russell said any suggestion that the 76-year-old six-term senator is having an inappropriate relationship with another woman is "outrageous and offensive and the dirtiest form of politics. As we see from the arrests today, these people will stop at nothing to smear Thad Cochran, including a despicable act like the one committed against Rose Cochran." The Cochran family says Rose Cochran has lost the ability to speak and is receiving hospice care. During questioning in court, Madison police investigator Vickie Currie said investigators believe the conspiracy was intended to use images of Rose Cochran to advance allegations Cochran was having an inappropriate relationship. Currie said it was Kelly's third attempt to photograph the 72-year-old woman. Kelly earlier was charged with exploitation of a vulnerable adult and filming without permission. A conspiracy charge was added Thursday in Madison City Court. Mayfield, arrested by police at his law office, was charged with conspiracy and the judge gave him a bond of $250,000. Though his lawyers objected that the bond was too high, they said Mayfield would post it. Sager was charged with evidence tampering and conspiracy and held on $500,000 bond. Mary was charged with two counts of conspiracy involving the exploitation of a vulnerable person and the photographing or filming of a person without permission where there is an expectation of privacy. Investigators said Mary was released on his own recognizance because of health issues.